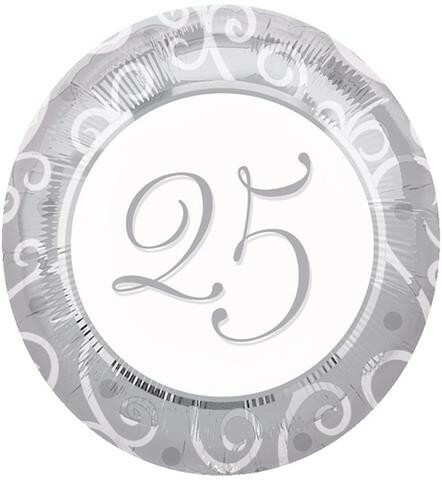 Round shaped foil balloon that measures approximately 18 inches. Silver background with a swirly pattern. White circle in the centre saying 25 in silver inside.